Dr. Andreas Jacobs is a truly international businessman with a record of managing globally significant organisations across diverse fields of interest. He is overseeing his family business with diverse interests in chocolate, education and e-commerce. Jacobs also oversees the growing presence of a multi-national thoroughbred empire—with breeding operations in Germany, England and South Africa. In all, there are over 200 mares across all three commercial properties as well as a series of high-profile stallions and racing interests. 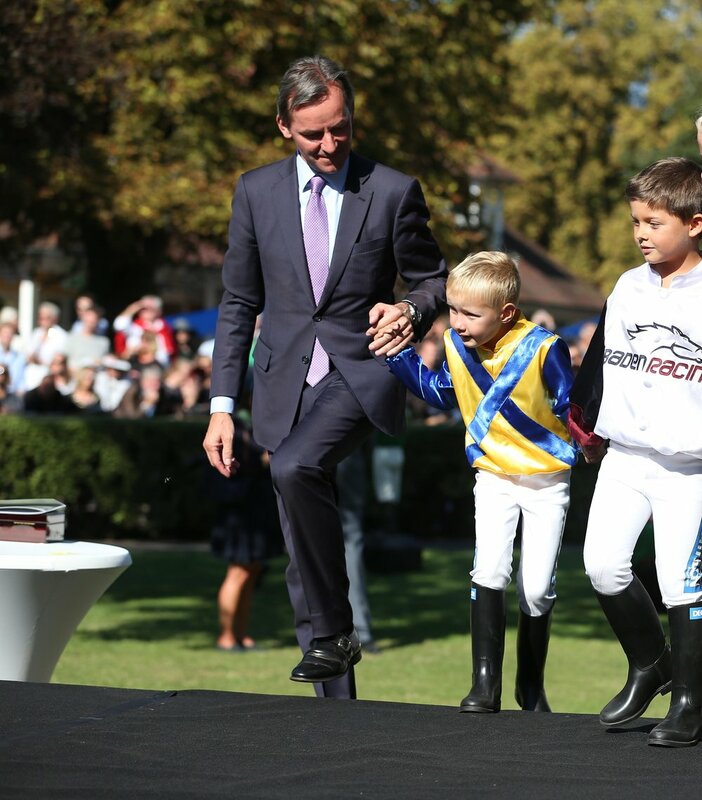 And he is the president of Baden Racing, running the most important race track in Germany. The Jacobs family’s contribution to thoroughbred racing and society at large extends further through the Jacobs Foundation, which is dedicated to promoting the development of young people through programs in life skills, computer skills and activities associated with nature and the environment. Peter Muhlfeit spoke to Jacobs about the upcoming season with Baden Racing and his views on racing and breeding. Dr Jacobs: You’ve studied classical music—cello and French horn—and you have a doctorate in European competition law and a Master of Business Administration. Those enterprises are far removed from the world of horseracing. What led you to get involved in breeding and racing of thoroughbreds? Horses are a passion of our family since generations. My parents and grandparents were passionate horse riders in different disciplines. When I was young, I started spending my weekends at horse shows. My first great horse was a very talented thoroughbred called Tristan. He was the first horse that was raced in our family silks. My grandfather bought him in England, and he became a top two-year-old in Germany, however, suffered from tendon issues. Subsequently, he became a riding horse. I was able to ride him at the highest levels in dressage. He was a star and changed my life. In 1995, my grandfather asked me to succeed him at Gestut Fahrhof. I was surprised but felt immensely honoured and privileged. So all my commitment and passion went into this stud. This is where the infection really started. Despite this passion, we have clear rules in my family. The fundamental rule is that family comes first, business comes second, and private passions come last. In that sense, I am a relatively disciplined horse owner. In 2010, you also took the reins at Baden-Baden, the leading track in Germany to save it from going under. Why? Baden-Baden is the most important race track in Germany. With only 13 race days during the year, Baden is generating over 25% of the German annual betting turnover. Baden-Baden is the flagship track. Without Baden, Germany has no relevance in racing, in black type races; and we all could close our breeding operations, our traditional studs and move elsewhere. It was of utmost importance to fix this flagship track to keep German breeding alive. I like to thank John Magnier for making this point to me around ten years ago. The problem started 15 years earlier—in the mid-nineties—when official betting turnovers collapsed, moving betting overseas to low-tax havens with no benefit for the race track. Germany, with low retail presence in betting, suffered more than any other European country. With the collapse of revenues, several race tracks were insolvent and had to close—like Baden-Baden in 2010. Why did the old Baden-Baden management structure fail? And what's being done differently now to ensure Baden-Baden's ongoing success? The former management had limited cost transparency and reacted late. When we took over in 2010, we established more transparency and got regional politicians and local communities back on board. And we received support from the German TBA who helps us finance our group races. 2019 is the tenth season for Baden Racing under your leadership. What are your ambitions for Baden-Baden in the short, medium and long terms and for German racing as a whole? We are planning and investing to continue the positive trend: more spectators on site, increasing betting revenue on and off track, and a strong recognition in the region. These three parameters are up since years. Never forget: if you win a race on a Wednesday in Baden, there are still 7,000 to 9,000 spectators celebrating with you! If you win on the weekend, we easily double this. What are the major changes you have planned? We offer three festivals a year: the Spring Festival at the end of May, the Great Festival Weekend of August, and the Sales & Racing Festival in October. At these fixtures, we run twelve group, five Listed and three rich Sales races—more than any other racing club in Germany. In recent years we decided to end each festival with a bang, presenting two Group races on the final days. Such Super-Sundays are very unusual for German racing. This year we will have a Super Weekend on 31 August and 1 Sept with two Group races on Saturday, two Group races and one Listed race on Sunday. This is the best any race track in Germany has ever offered. And, what everyone should know: There is no other race track in the world that has so many Michelin and Gault Millau Stars in proximity! So if you are tired of horses, you can enjoy great food and wine. How much help does your national racing industry get from the German government? Sports are very much a matter for the federal states in Germany, so we can’t expect too much from the national government. On the local level, we did receive quite some help over recent years to reinvest into the track (e.g., to build a new watering system and to renovate the grandstand). Nationwide, our sport is suffering from one big loss: Our betting tax used to be reimbursed based on our contribution to breeding by selecting top horses and improving the quality of breed. This was a fundamental right in the German constitution of the 1920s. The reimbursement got cancelled recently for no justifiable reason. In Baden-Baden alone we lost a solid six-digit amount. What could be done to help German Pattern races, in terms of increasing the prize funds? We need more betting revenue and more sponsors. That’s quite easy to say but difficult to achieve. In Baden-Baden, we increased our TV coverage. 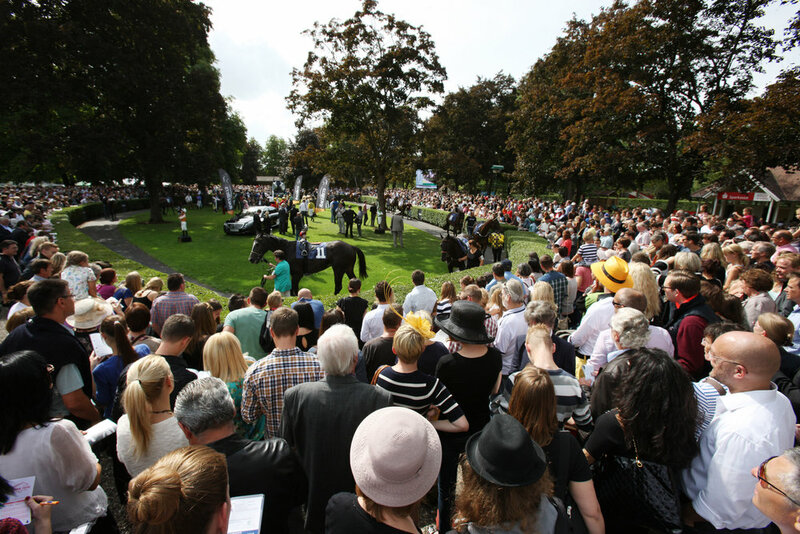 You can watch the Grand Prix of Baden-Baden on German public TV, ARD or ZDF. Around 3 million viewers are watching it. We are happy to have Longines as main sponsor; still, for other tracks, it is difficult to find sponsors for Pattern races. Turning to your breeding operations: Why is the German racing and breeding industry not going down the 'speed' route with their stallions as is the vogue in other breeding nations? Our strength has always been middle- to long-distance horses. They are late-maturing and bred to be tough. That’s pretty unique in a world where you look for a quick return and a two-year-old career. And it explains why German horses are so popular in Australia to win the Melbourne Cup. The shortest Gp1 race in Germany is 2,000 meters. If you want to stand a champion sire, he should be middle to long distance. Historically, a stallion had to win a Gp1 over a mile-and-a-half to achieve a rating that allows him to become a stallion. So we were mating stayers to stayers, tough horses with tough horses. We also have conditions of no bute or Lasix to become a stallion. It is another criteria where pure, natural toughness will survive and continue. What is the influence of your stallions on the international stage and your hopes for Silvano, Nathaniel, Querari, Equiano, Maxios and your new resident Helmet? Nathaniel obviously has made his mark already with Enable—one of the best fillies in recent decades. He himself was brilliant, and he is reproducing it. This is what you love to see as a breeder. Silvano in South Africa is exceptional. Close to my heart. The first horse I bred, raised and accompanied. He has now 21 individual Gp1 winners in Europe and South Africa. He is already a legend. Querari is following him, being the best younger stallion in South Africa by all measures. And at Fährhof we have the most beautiful Maxios—the best bred son of the legendary Monsun and one of the most influential stallions in the world. We decided to attract Helmet to stand at Fährhof. He fits the German taste, having been a tough race horse and champion at two and three and stemming from a German family with Anna Paola, having sired a Dubai World Cup winner in his first year. What more can you expect? Further to your own interests in South Africa, do you see South African racing and breeding playing a greater role internationally? I first came to South Africa in 1989 when my wife worked at Groote Schuur Hospital in Cape Town, where the first heart transplant was done by Dr Bernard a few years earlier. We started dating in Cape Town. We love the country, and in 2002 we fell in love with the stud, which has both beauty and ruggedness. It became a family place with many European faces—horse faces. When I compare Maine Chance Farms with our other studs, there is no doubt that Europe is more sophisticated along the value chain. But South African horses are globally competitive because they grow up more natural. South African breeding is survival of the fittest. I can’t wait to see South Africa being allowed to export under reasonable quarantine regulations. It will be a source of excellent horses.